LaCie's latest drive aims to tick all the boxes with a specification that offers both speed and data protection. Thunderbolt, which is only found on a handful of motherboards and a few of the latest Apple products, and USB 3, which is a little slower but much more widely available. They're both plugged into a 120GB SSD, and LaCie has wrapped it all up into a package designed to keep the contents safe in demanding conditions. 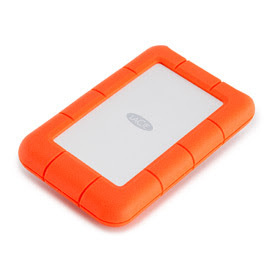 The orange outer layer is a shock-resistant rubber sleeve that's designed to protect the drive from drops of up to 1.2m, and the SSD itself is encased in an aluminium shell that adds further protective features. The material absorbs excess heat from the disk, it's designed to withstand water and dust, and LaCie claims the entire drive can resist one ton of pressure. 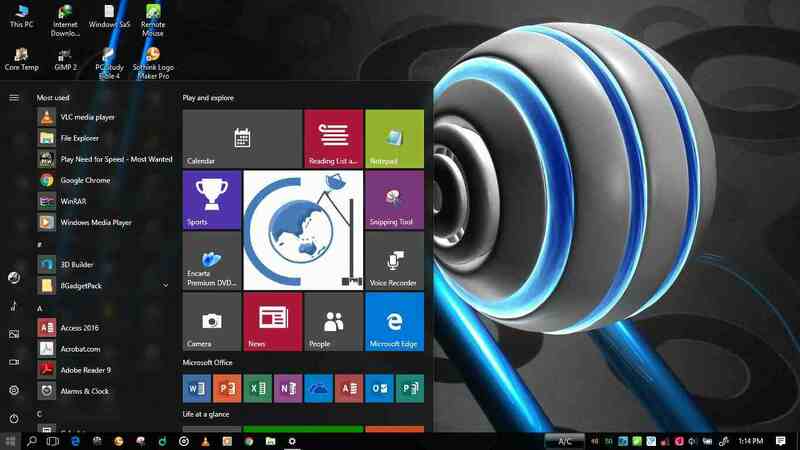 The drive also includes software designed to protect data. LaCie's Backup Assistant is a simple tool that lacks advanced options included in commercial software, but it's capable of performing manual or scheduled backups. There's also 256-bit encryption which, when set-up, protects your data with the type of encryption used by the US military. The SSD within it isn't a commercial model. LaCie has opted for a Micron-made drive, and it's constructed from 25nm NAND chips,the standard memory that appears in most mid-range SSDs. It's an impressive specification, and the LaCie zipped through our benchmarks with an enviable turn ofspeed. The LaCie scored 245MB/s in our large file write benchmark and 326MB/s in the large file read test using the Thunderbolt connection. That's less than our favourite high-end SSD, the Corsair Performance Pro, which scored 484MB/s and 409MB/s in the same test, but it's much quicker than external drives we've tested. Happily, its small file write and read results of 127MB/s and 89MB/s aren't too far behind the Corsair. The LaCie's USB3 connection isn't quite as quick, but it wasn't far behind. In the large file benchmarks it wrote and read at 221MB/s and 314MB/s, and zipped through the small file tests at 118MB/s and 83MB/s. They're impressive results across both connections, then, but we're not without reservations. For starters, the £165 inc VAT price makes this an expensive drive at £1.35 per gigabyte. That's pricier than most external devices, with the Thunderbolt connection guilty of driving up the cost. It's also not a huge amount of space when compared to hard disk-based external drives. Even so, the versatility and speed on offer here make this worth the high price.